The art of kuftgari work is known to have existed in Kerala as inlaid work and outlaid work in swords, knives for centuries. The method of working is by laying fine silver wire on a surface of iron roughened by scoring with fine scratches. This wire is beaten down in deep grooves cut in the ground metal in the required design and then hammered down. The wire is tightly held by the sides of the grooves and surface is filed and polished. 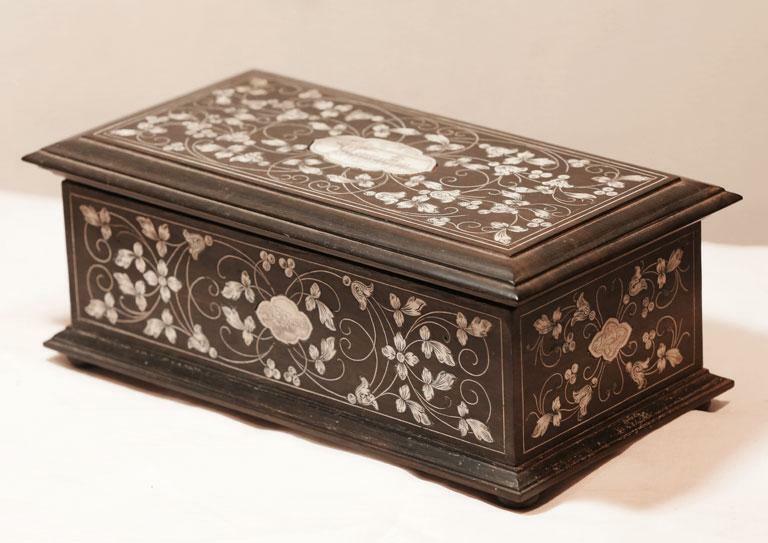 Similar inlaid work done in jewel box is displayed here.